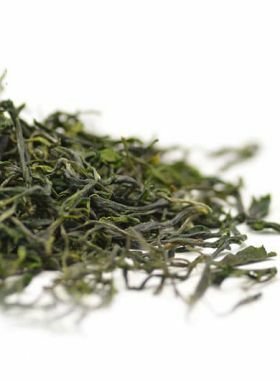 This infusion-enduring Organic Gunpowder Tea is a perfect affordable daily tea for green tea lovers. Organic Gunpowder green tea is traditionally created by plucking high grade long tea leaves from the tea trees, by hand-rolling them into small tight pellet shapes (also like discoid flower). It is normal that there will be some floating in the liquor because of the processing craftsmanship, which will not affect tea taste. The whole leaf is used in processing, so this tea when brewed allows the pellets to unfurl and dance in the hot water to produce a beautiful yellowish green, even golden color liquor with high aroma, fresh and brisk taste, with hint of caramel aftertaste lingers. TeaVivre’s Organic Gunpowder Green Tea, Organic Tianmu Maofeng and Organic Tianmu Yunwu are all from Hangzhou Bao Jia organic tea garden. 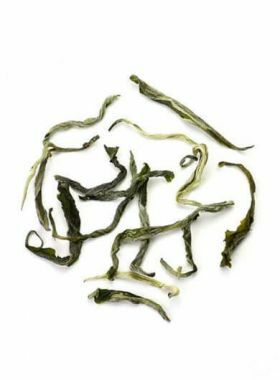 This Organic Gunpowder Green Tea comes from Tianmu Mountain, located in Lin’an, in the northwest of Zhejiang Province, 84 km from Hangzhou. In Chinese, “Tianmu” means “Heavenly Eyes”. Tianmu Mountain got its poetic name from two pools, one on the east peak (elevation of 1480 m) and one on the west peak (elevation of 1506 m). The two pools look like eyes that are gazing at the sky. 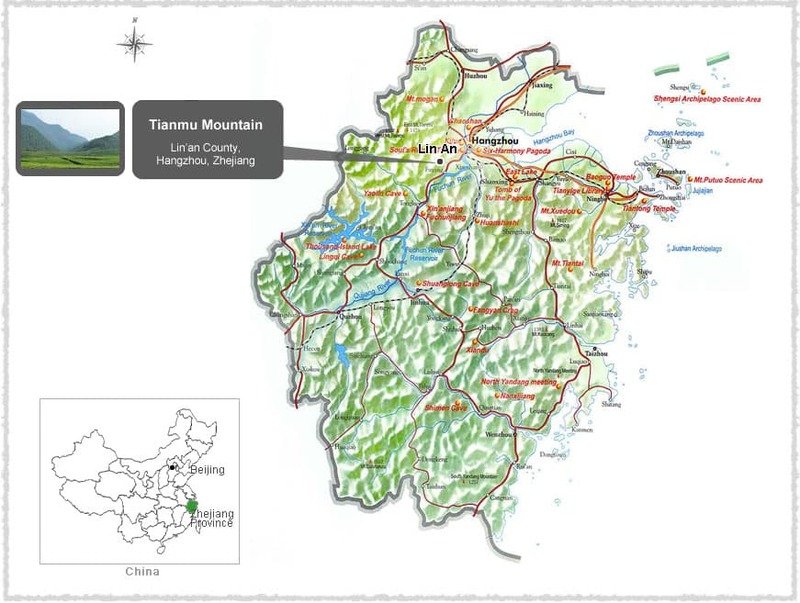 With an elevation of 300 m to 1556 m, Tianmu Mountain is well known for its forest ecosystem and landscape which are typical of subtropical regions. Qunti tea tree species, which is “mother” of Longjing 43, is also called “Lao Cha Peng” or “Tu Cha Ye” by the local tea farmers. 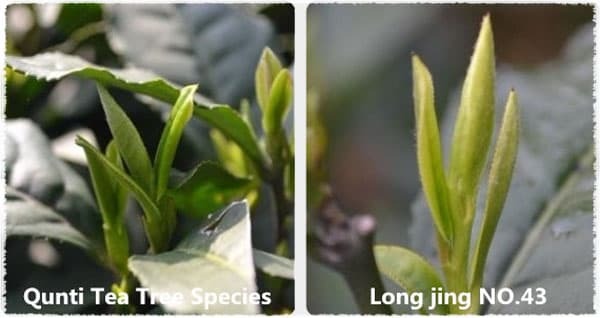 It is the earliest species to produce Longjing Tea. “The eighteen imperil tea trees” that named by Qianlong Emperor is also this kind of tea tree species. Qunti tea tree species are easily to be recognized as they are irregularly planted and spread out. The picking time of this kind of tea tree is later than other species. The tea made by this kind of tea tree species is characteristics in its strong fried-bean fragrant, as well as floral and fruity fragrant. 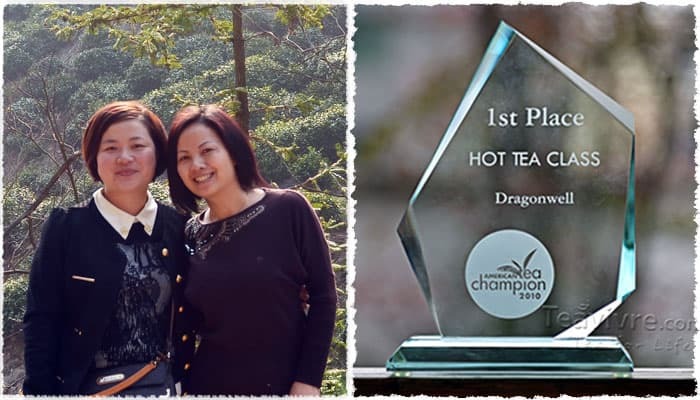 Our Organic Gunpowder Tea is made from the same tea tree species as Longjing, but with different picking time and processing ways which made them of different taste. 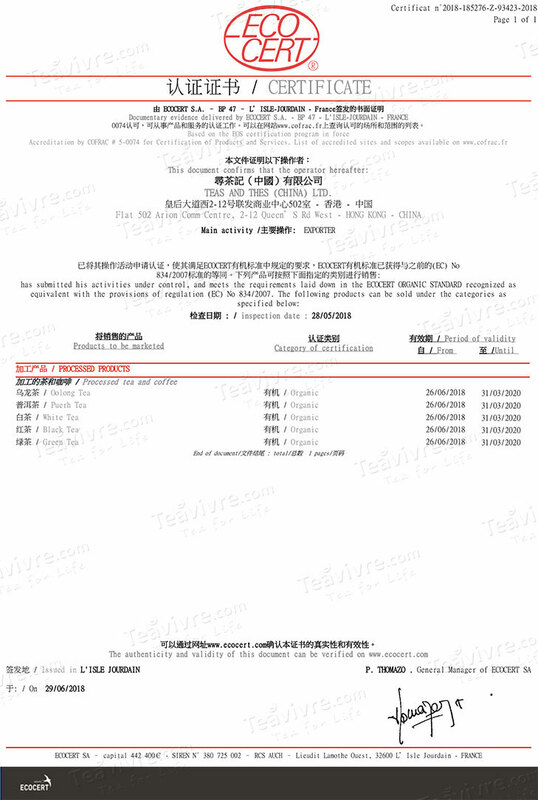 Gunpowder green tea originated in Pingshui Town, Shaoxing City, in the Zhejiang Province of China. 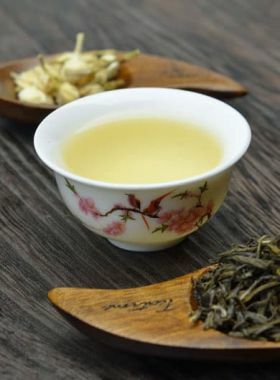 However, over the years the production of Gunpowder green tea has expanded to the Fujian Province, the Guangdong Province, the Anhui Province, the Zhejiang Province and the Hunan Province of China, where very high quality Gunpowder green tea can be grown and produced.